Crown repair by Creative Masonry & Chimney will keep your chimney in great shape for a long time. 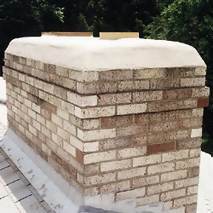 Damaged or improperly built chimney crowns are a common problem for homeowners across Connecticut. Our repair service helps you avoid the expense associated with full chimney crown replacement. Think of crowns as the roof of your chimney. A cracked or poorly constructed crown will allow water to penetrate, causing deterioration of the brick and masonry mortar joints, which leads to expensive chimney top repair costs. A common problem with worn or incorrectly installed crowns is back-puffing. This occurs when fireplace smoke comes back into the house. It can result from several factors, including a downdraft. 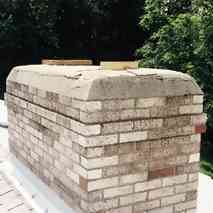 A chimney cap can help stop downdrafts. A chimney crown is usually made of a Portland cement mix. When cement dries, it shrinks and checks (cracks). The proper way to install a new crown takes time and the proper mix of cement. Not every mason or chimney repair company has the ability to replace or repair your crown properly. In a lot of cases, inexperienced contractors will try to caulk the individual cracks. This approach is a waste of time and money. 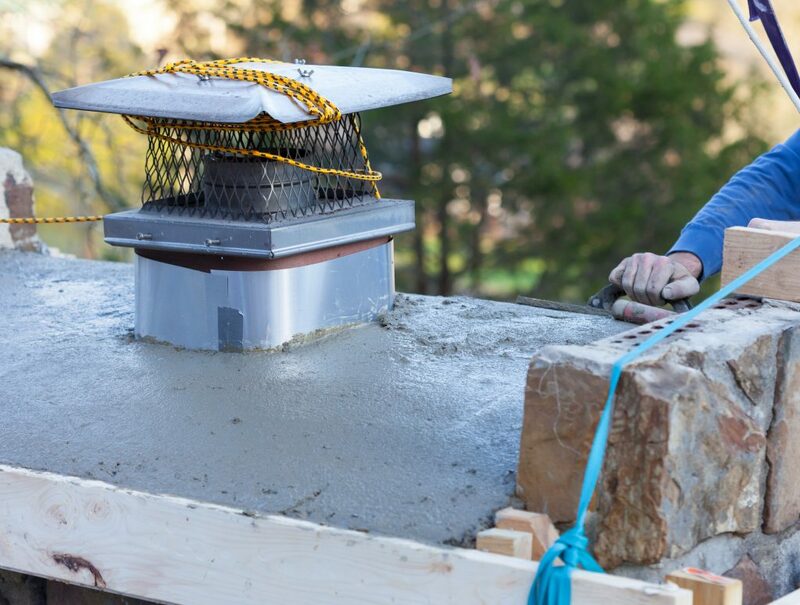 Creative Masonry & Chimney has become the preferred choice for many homeowners across Connecticut when it comes to chimney crown construction, cracked crown repair, and related services. Why is this? As we’ve mentioned, a lot of people run into trouble because they resort to fly-by-night contractors who lack the necessary skills and experience. With Creative Masonry & Chimney, however, you can benefit from highly trained professionals who have spent years dealing with every type of chimney and the maintenance issues associated with them. Furthermore, we’re licensed in Connecticut to perform chimney repair work, recognized by the Better Business Bureau for our first-rate customer service (A+ rating), and fully compliant with the National Fire Protection Association Standard code 211. Creative Masonry & Chimney offers inexpensive solutions guaranteed to protect your chimney for years to come. We are current on all new materials and procedures available in repairing chimney crowns. Keep in mind, these prices are based on ideal working conditions, standard size chimneys, standard access to the TOP of the chimney, and no need for scaffolding to be used. Some restrictions apply. Call Creative Masonry & Chimney to have your crown repaired today!